When it comes to woodwork, you generally want something smooth to the touch. A rough cabinet is annoying to work with, and no matter how well made it is, the average person is going to inwardly think of a risk of splinters every time they touch it. The beginner or expert woodworker is going to have to figure out the best way how to get a smooth finish. It’s difficult, and we’re not going to lie about that. Even in the cleanest room, there’s going to be dust and other air contaminants that will get in to mess up your smooth application. Try these tricks on how to get a smooth polyurethane finish on your next project, and get as close to perfect as you can! When you’re ready to go with your finish, start trying out a list of simple and common sense techniques that you might not have thought of. With bigger pieces and larger areas, drop the brush and grab a roller for your finish, to apply a more even and quick coat. Apply the finish to both sides of the project at the same time, rather than doing one side and waiting for it to dry, then going after the other side. This helps keep the same amount of finish on both sides, and keep a more uniform look. While you’re applying the coats, try to do so in a dust-free area. As we’ve said before, this is difficult and impossible to do perfectly, but your work will do much better in a clean room free of dust and other problems that can get kicked up into the air. If at all possible, avoid doing this outside. 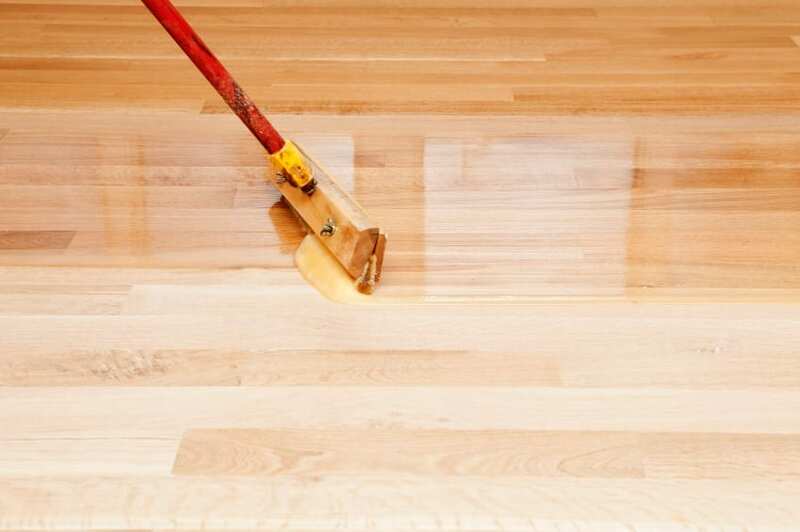 While the clean and fresh air can dry the finish faster and keep the smell from getting overwhelming, it’ll also throw pollen and tree droppings into your polyurethane. Let it dry thoroughly before testing out the finish and seeing whether it’s smooth enough for your purposes! Head out of the gutter, and on your newest project. Once you’ve brushed on the polyurethane, it may look great, and you’ll be excited over it. But one, two, even three applications might not give you the results you want. It can look shiny, improperly made, fake, and possibly even mediocre. It’ll feel a bit rough to the touch, and can be the bane of any starting woodworker’s confidence. One of the best ways to get that smooth finish you couldn’t with a brush, is rubbing the finish out. This is a simple process, using two different types of sandpaper and a bit of wax. A few days after your finish application, grab a 400 grit sandpaper and get to work, sanding down the impurities and bumps that came to fruition. Then grab a 0000 steel wool piece, trying to get a high quality piece, and put a bit of paste wax on it. This lubricates the steel wool and helps create a better finish on top of the polyurethane. Sand it over again with the wool, clean off the excess wax, and let dry!